Is that what you think of when you hear the word ‘chamber’? From debates to sleeping to Harry Potter (think Chamber of Secrets), friends have had varying first impressions of our CCA. Here are three truths you need to know: 1) We make music. 2) With string instruments. 3) In a room. Known affectionately as “music for friends”, chamber music traditionally refers to music meant for performance in a palace chamber. Although our CCA room resembles nothing even remotely like a palace chamber, the “friends” bit definitely still applies. Indeed, we are a family of budding musicians with a passion for music-making, led by our quirky conductor, Ms. Marietta Ku, who aside from valiantly rallying school ensembles, spends most of her days playing with the Singapore Symphony Orchestra as a distinguished violist. 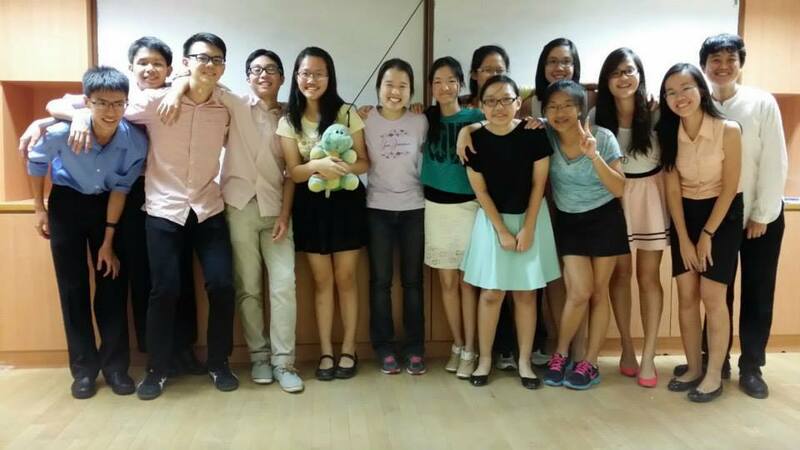 Of course, how could we forget our dedicated teachers in-charge, Ms. Tang Mui Kee and Mrs. Lim-Bay Swee Lian? Through our seniors’ hard work and determination, we have maintained stellar performances at the Singapore Youth Festival (SYF), achieving Gold (with Honours) since we were established in 1986. In the recent years, though, Chamber has decided to withdraw from SYF, pursuing musical excellence in other areas instead. 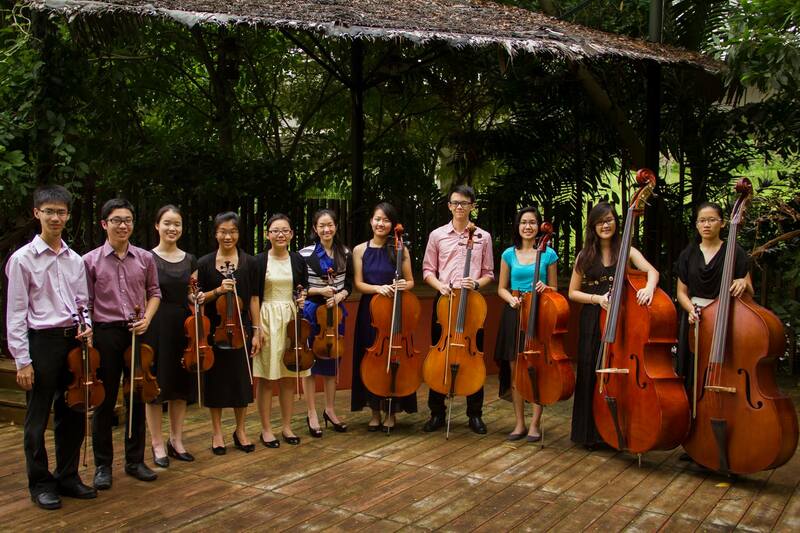 Last May, our annual concert was held at the School of the Arts Concert Hall, with Chamber performing a plethora of genres, ranging from Buxtehude’s timeless Chaconne to Hans Zimmer’s celebrated Pirates of the Caribbean tune, arranged by our fellow member Jonathan Ting for strings. 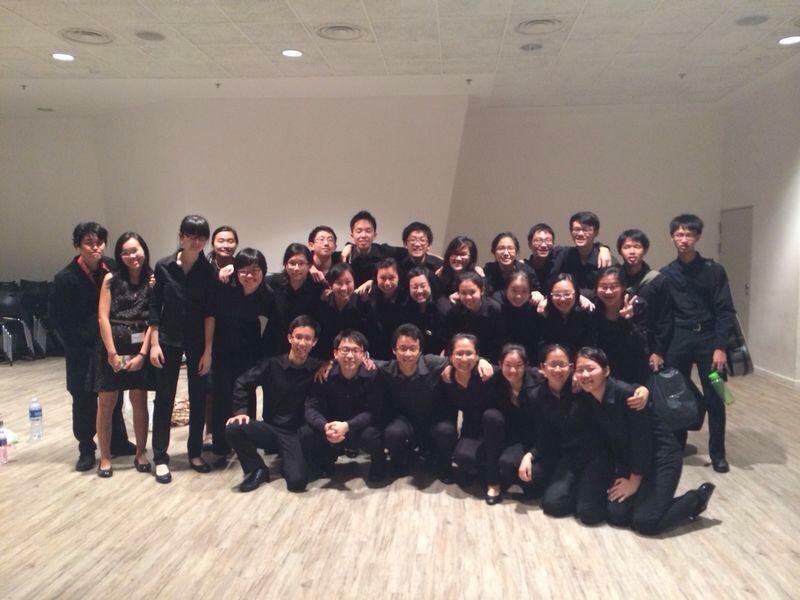 Chamber Ensemble is one of the only musical groups that has the opportunity to perform at Esplanade Recital Studio and Esplanade Concourse. 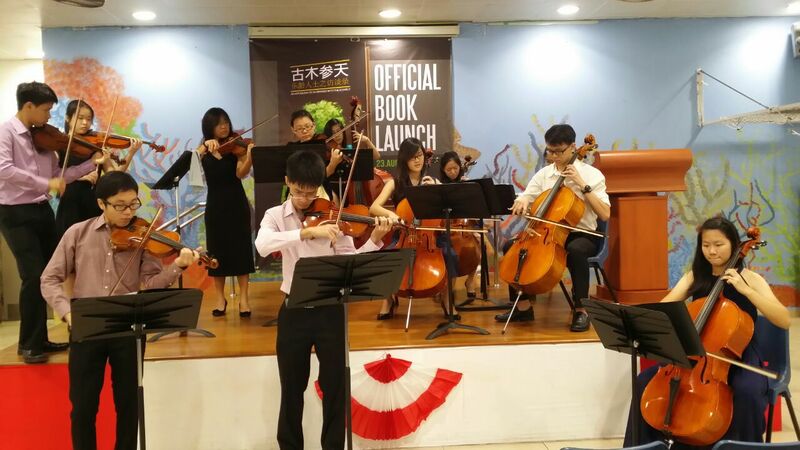 We are also regularly invited to perform at external events such as the recent book launch for notable NTUC pioneer Ho See Beng, which was graced by several dignitaries including Prime Minister Lee Hsien Loong, DPM Teo Chee Hean, and former President S.R. Nathan. We were also involved in the fundraising concert organised by ISLE (International Service Learning Elective), along with other performing arts groups such as Rock, Chinese Orchestra and Modern Dance. This year, Chamber will be organising two major performances: our annual concert and a grand collaboration with Raffles Institution Military Band (RIMB), Raffles Girls’ String Ensemble (RGSE), as well as Raffles Institution String Ensemble (RISE). Members can also look forward to an electrifying overnight camp that will take place during the March holidays. Practices are held weekly on Wednesdays, 2.30-6.30 pm, but do be prepared for extra rehearsals nearing performance dates. Interested to join? Sign-up for auditions! All you need is to be able to play a string instrument!